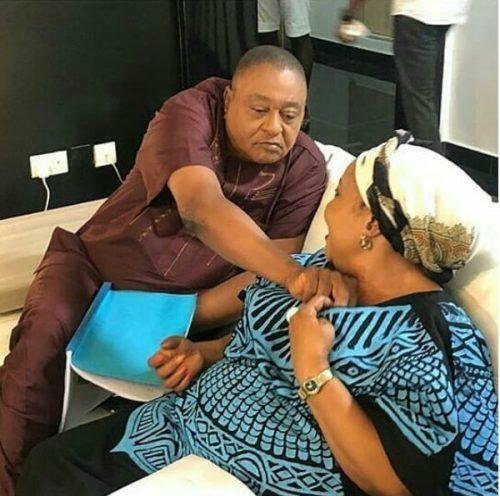 This picture of Jide Kosoko and a Nollywood actress running lines of the set of a film has got people talking on social media. Many are of the opinion that the legendary actor might have been flirting with his colleague considering his history with women. Mr. Kosoko began his acting career as a child actor in 1964 in a television production Makanjuola. He has featured in several Nollywood movies of both English and Yoruba Genres. He was married to two wives; Karimat and Henrietta (late) with children and grandchildren.